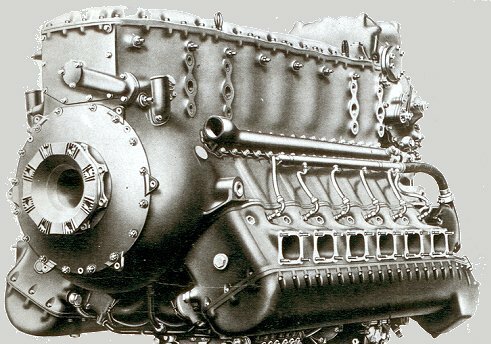 The engine was designed by Dr. Franz Josef Neugebauer of Junkers Moteren. It was a scaled up version of the Jumo 210 and was first tested in 1936. The inverted twelve-cylinder, V-12 engine had a displacement of 30 liters (2,100 cu in), was fuel injected, and had three valves per cylinder. It was designed to produce 1,000 metric hp (PS) (735 kW) which is the equivalent of 1,013 standard hp (755 kW) running at 2,400 rpm. On the Jumo 211F, provisions were made to provide supercharging and the rpm was increased to 2,600 and power increased to 1,340 PS (985 kW). An intercooler was provided on the 211J and power increased to 1,420 PS (1,044 kW). Further development on the 211P, with increased boosting and rpm increase to 2,700, led to an output of 1,500 PS (1,103 kW). Total production of the Jumo 211 was 68,248 engines, including 1,046 test engines making it the most produced German engine of World War II. 1. Herschel Smith. A History of Aircraft Piston Engines. Manhattan, Kansas: Sunflower University Press, 1993. 127.